These products are made from 80+% recycled plastic. Colour and print of each design may vary due to the nature of recycled plastic products. More designs are available in store. 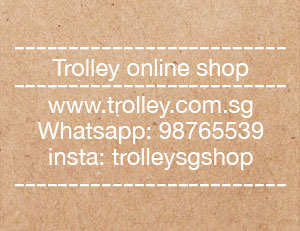 Do pop by to visit us or email info@trolley.com.sg for enquiries. Wholesale orders are welcome. Products are made from 80+% recycled plastic. Click on Polaroid for a bigger view. Click here to order now.